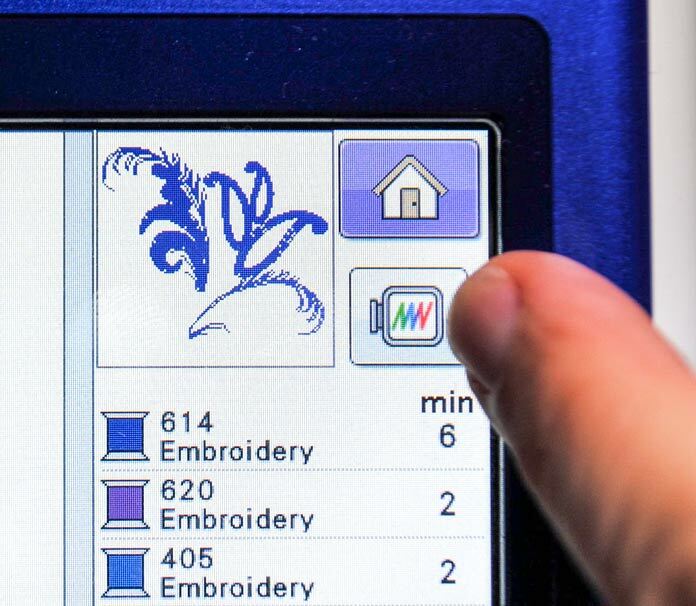 Home » Brother » Brother DreamWeaver XE VM6200D » 8 features on the Dreamweaver XE that make machine embroidery a breeze! 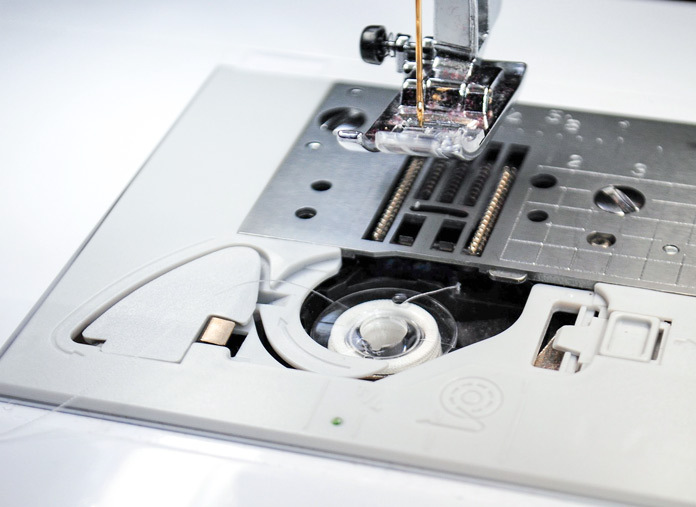 The tilting spool holder on the Dreamweaver XE makes changing the thread fast and easy. To take the spool off you tilt the spool holder up, replace the spool and then tilt it back down into its original position. 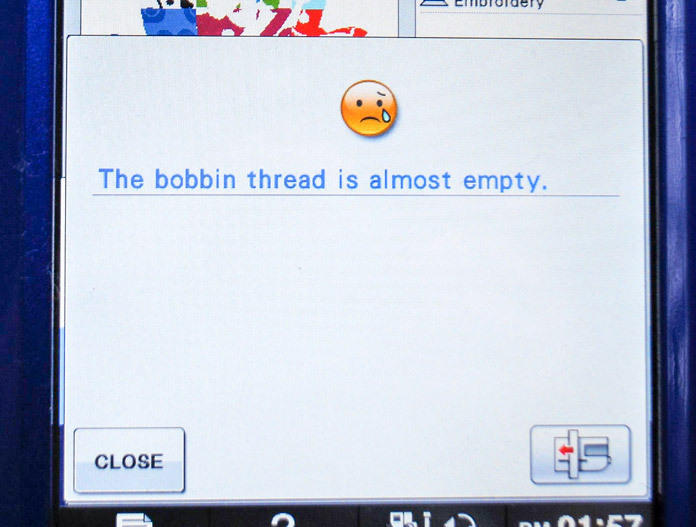 The empty bobbin warning page will pop up on the screen of the Dreamweaver XE whenever the bobbin is running low while sewing or embroidering. 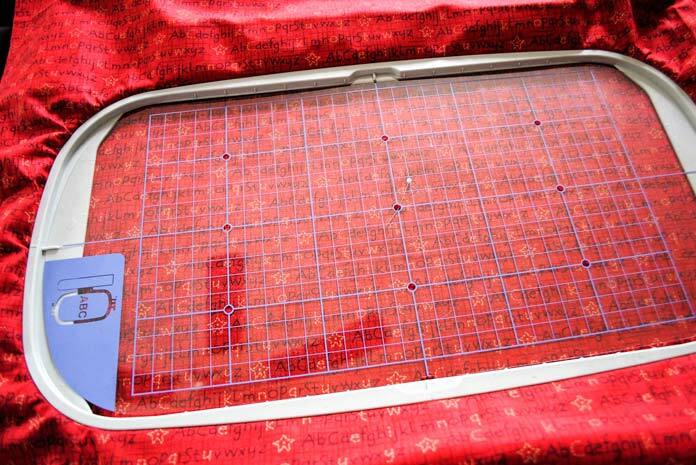 This is especially helpful when the machine is embroidering a large area and you have stepped away for a few minutes. 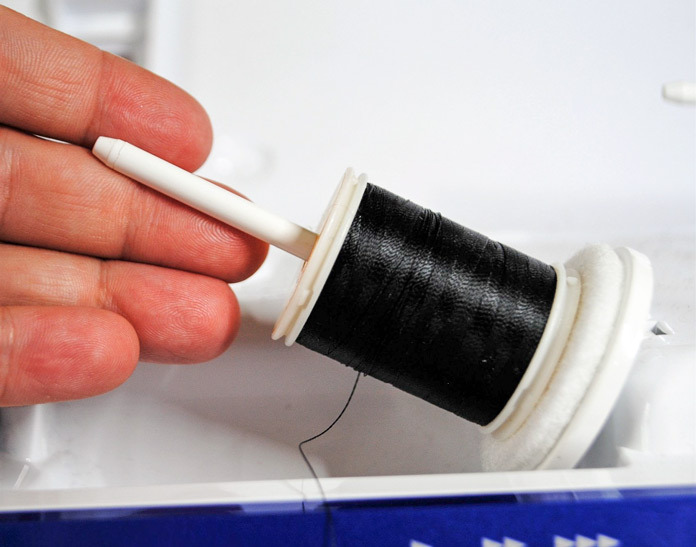 Imagine running out of bobbin thread and the machine just kept on going until the next thread change. Not with this machine! 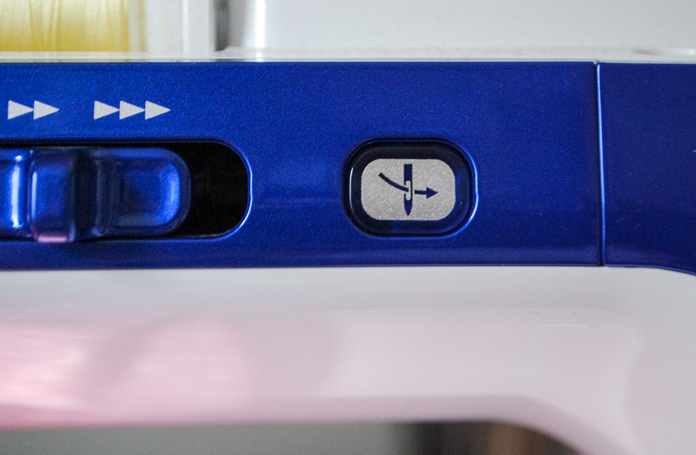 The automatic needle threader on the Dreamweaver XE is activated by pressing the needle threader button. This is an AWESOME feature when changing the thread color 22 times in one design! This is the same needle threading mechanism that is on THE Dream Machine. The tightening screw on each of the Brother Dreamweaver XE embroidery hoops is able to tilt upwards so that you can easily tighten the screw without having to lift the hoop off of the table. This makes it easy to keep the fabric taut in the hoop while tightening the screw AND protects your knuckles from scrapes. 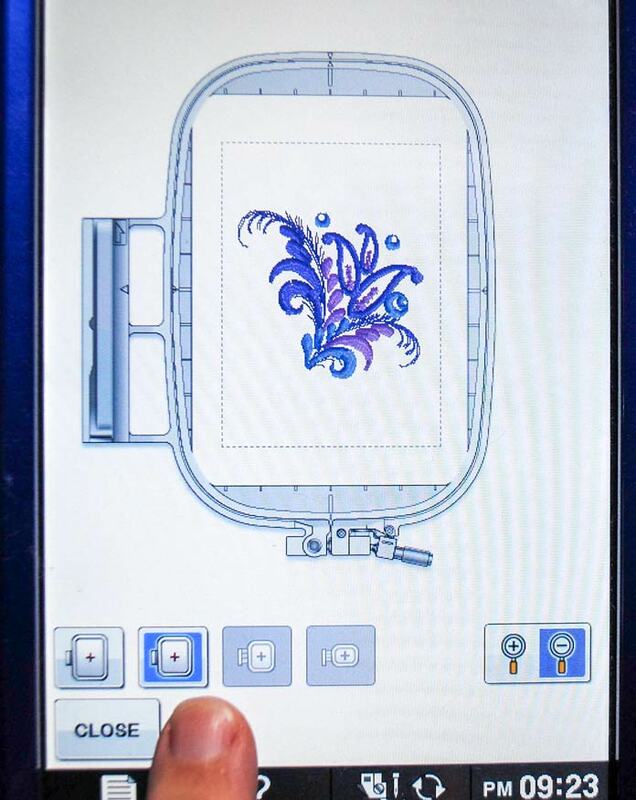 The image key on the embroidery screen of the Dreamweaver XE will show you a preview of what the embroidery design will look like after it is stitched in the chosen hoop size. 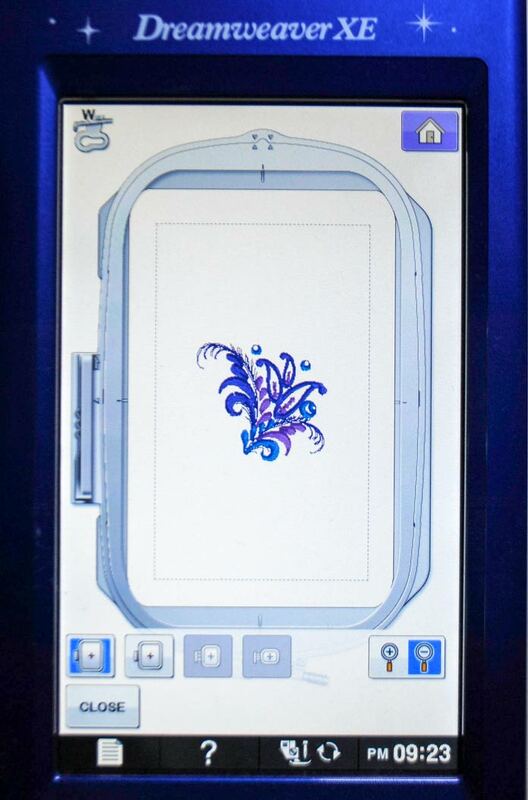 Here’s a preview of an embroidery design on the extra large embroidery hoop. Here’s a preview of what the embroidery design would look like stitched out in the large embroidery hoop. The fact that the medium and small hoop images are greyed out indicates that this design would not fit in either of those hoops. The bobbin of the Dreamweaver XE drops into the bobbin casing easily making changing the bobbin during machine embroidery a simple task. 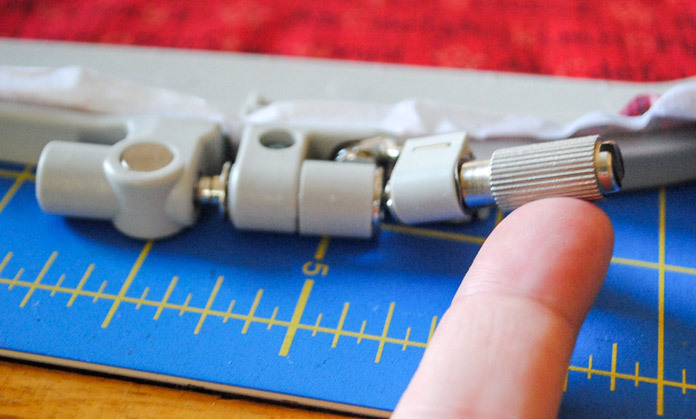 No need to remove the embroidery unit to get to the bobbin casing. 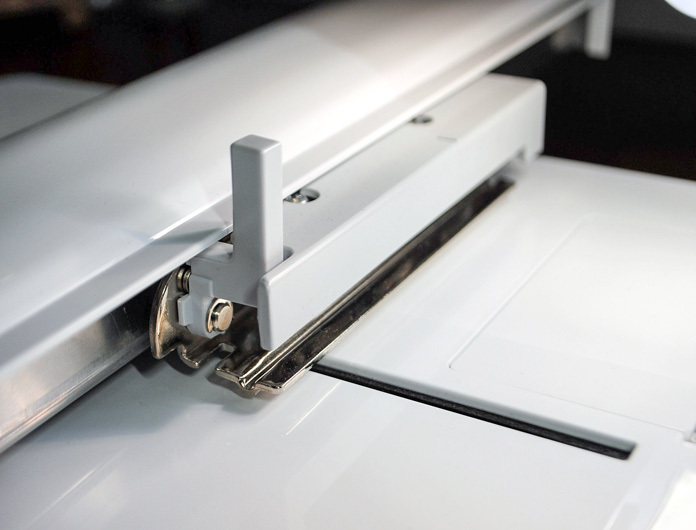 The frame-securing lever on the carriage of the embroidery unit is easy to operate and makes removing and replacing the embroidery hoop a breeze. 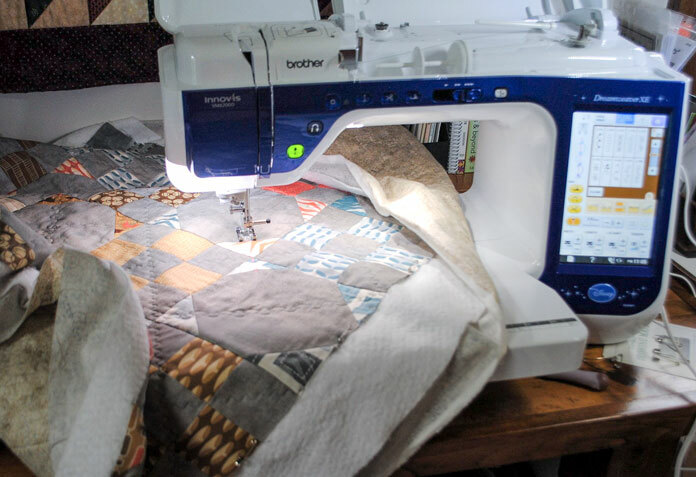 All of these features seem like simple things, but when using the machine to do embroidery they truly all add up to make the process so much more enjoyable. Tomorrow I’ll put all of these features to work when I get the Dreamweaver XE embroidering our Mickey Mouse design. Go back to part 1: How can you choose just one amazing Disney embroidery design?